Wooden Garden Basket Made of Oak Wood with a Maple Wood Handle. 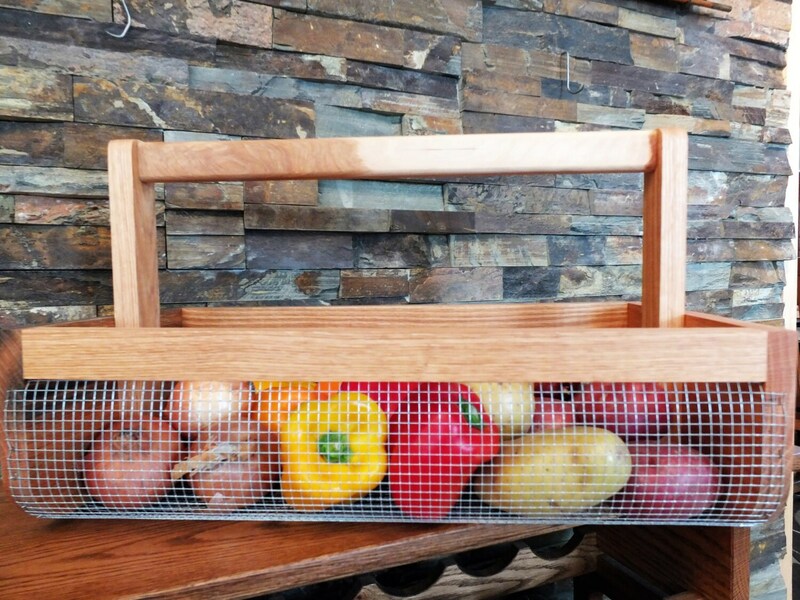 This wooden garden basket is made from oak and galvanized wire with a hickory handle. This is the perfect gift for the avid gardener, who can use it to gather flowers or vegetables. 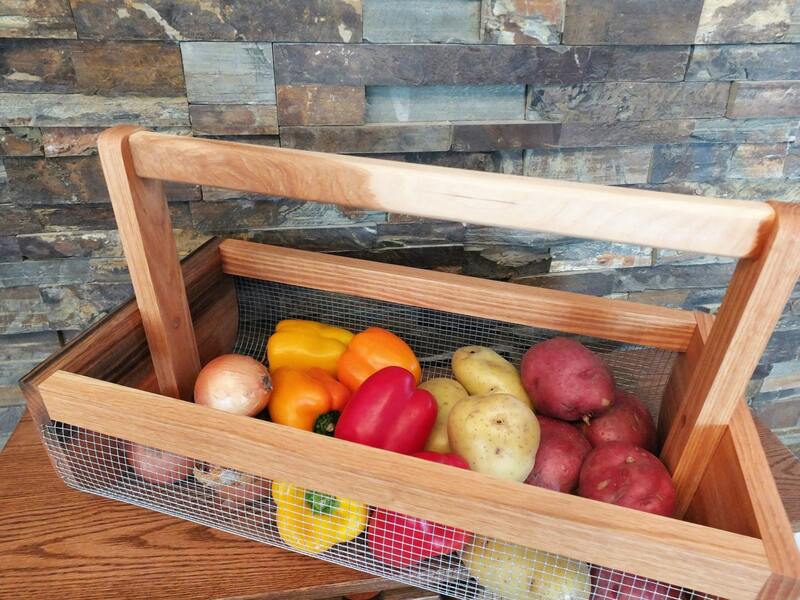 The galvanized wire basket allows the gardener to clean dirt off vegetables easily by spraying them with water while in the basket. 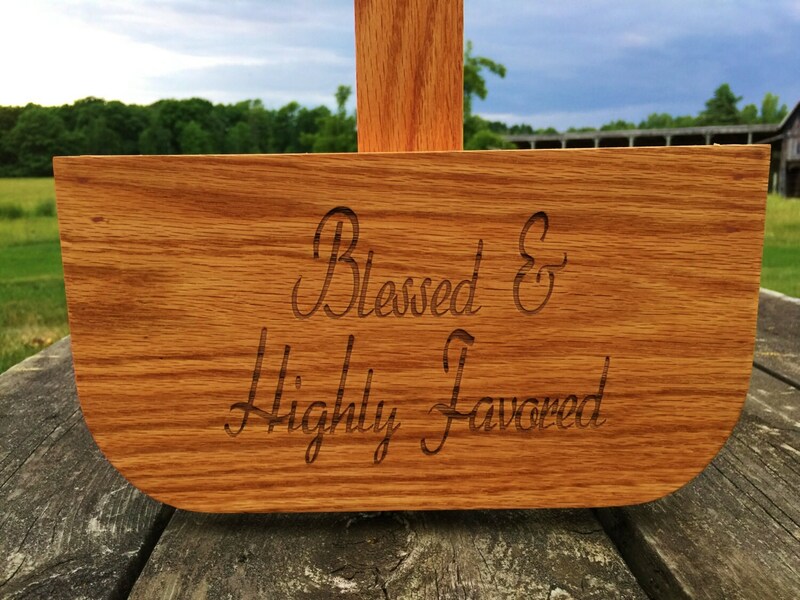 We can personalize one or both of the wooden panels. This also is an ideal wooden basket for home decor and display. Use it to store yarn, your knitting or crochet project, or supplies for the hand weaver. This item is 18" long x 10 " wide x 12" high. 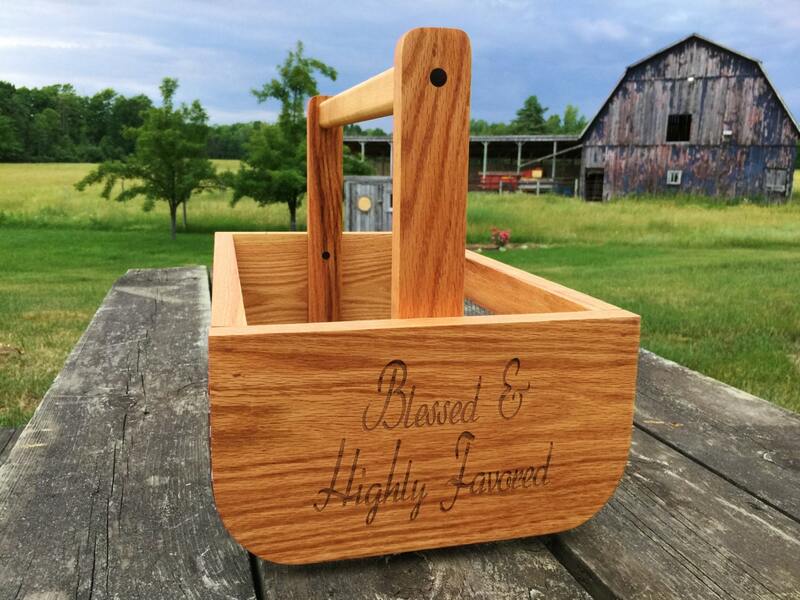 It is very well built from solid oak and hickory then finished with mineral oil for a water repellent surface. Water repellency should be maintained by applying mineral oil to wood regularly. CUSTOMIZATION: The prices listed are for text or simple graphics you provide. Custom engraving design will require a custom quote. Midland Moose Works make high quality wooden items on our 80 year old farm in mid Michigan. We use only North American hardwoods to create our products.